The globalist agenda to strike down international borders, erasing independent nation states forming a borderless map making them an entity from the dark past as if remnants of the Dark Ages, took some big hits this past year. BREXIT was the British striking back at the precarious position of the European Union, and especially the policies born of German Chancellor Angela Merkel’s open invitation to Arab and Muslim world refugees to swamp Europe in a sea of potential terror and breakdown of order and civility. Across the pond, the Atlantic Ocean to the less astute, the United States elected Donald Trump and an entire slate of close the border anti-amnesty for illegal immigrant Congressional representatives to both houses. Time is not waiting to have the internationalists strike back at the heart of the, retain the borders and man the barricades, forces. The internationalists have taken direct aim at the heart of this movement, truth and reality. Welcome to the age of government Ministry of Information straight out of George Orwell’s 1984, a little late to make his prediction of 1984, but arrive it has. The reasoning behind the “fake news” epidemic which culminated this past week where, according to the Jerusalem Post, amongst others, “Pakistani Defense Minister Khawaja M. Asif threatened Israel late Friday night, following a fake news report from the website AWD, stating that Israel’s defense minister was threatening to destroy Pakistan.” This will be the specific reason that such news stories are presumably considered to be such a threat to national security and the continued safety of the public. Once again actions are being taken to keep you safe from a threat created by governments in the first place. Instead of forcing those who willingly disclose false news stories without so labeling them, and also prosecuting those who knowingly repeat these fake news stories, the governments of the world will instead become the sole sources for true and real news stories. Unless the government has vetted any story, the public will never actually know whether the news they are reading is real or something from the furtive imagination of some lunatic somewhere. That appears to be concise but amply understandable and more than applies to this idea. 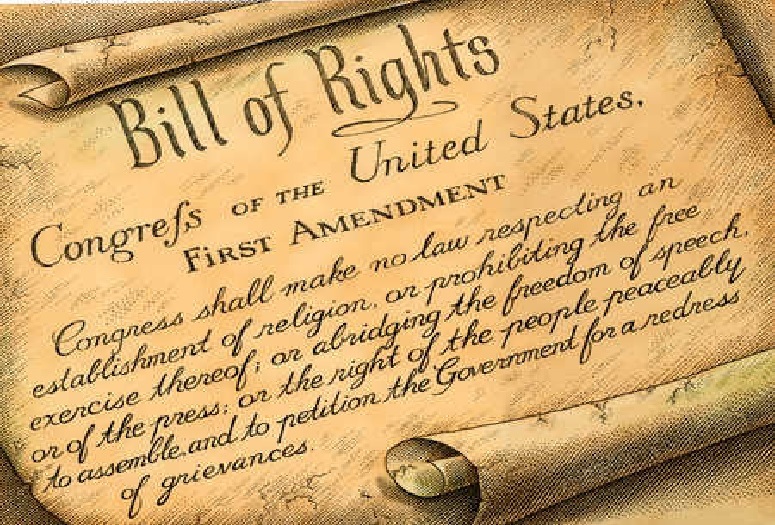 The particular part of interest would read, “abridging the freedom of speech, or of the press,” which does not state freedom to only release news which was first vetted by the government, which is the logical end result as this department gains in scope, strength, power and legitimacy which will come simply due to any amount of time where they have carefully performed their assigned duties only to fight the most egregious instances of fake news and then claiming they are a public service, not a potential menace to be watched like a hawk. Eventually this department will grow, as do virtually every government agency which start with noble purposes and eventually morph into rights stealing monstrosities, and begin to offer licenses and verifications of news stories and anything found not to contain their approval will be regarded with suspicion. This will mark the end of the assisting and begin the dictating of truth and once the government controls the verification of the truth, then the government defines the truth. This was the result of numerous “fake news” stories highlighted to have been carried by reputable newspapers and other media which became the cause celeb leading down a scripted dance trail right into the waiting arms of Congress and arrived as a need desperately requiring the heavy hand of government. We need remember the worlds of the first President of the United States, George Washington, who stated, “Government is not reason, it is not eloquence,—it is force! Like fire, it is a dangerous servant, and a fearful master; never for a moment should it be left to irresponsible action.” There are also the words of the fortieth President Ronald Reagan who stated, “Government is not the solution to our problem; government is the problem.” Both had a similar ring, namely that the government is not to be trusted as our keeper any more than a fire-bearer should be trusted in a fireworks factory, some things are simply bad ideas. Having the government deciding that which is worthy of being considered news and that which is simply the fancy words of some sarcastic editorialist, then the government has the power of determining the knowledge allowed the people and such censorship should be considered intolerable. The people are to be given reporting of events in the whole cloth, the wheat with the chaff and be trusted to separate the two taking to heart only that which stands deep scrutiny and has earned their trust; government, actually, not so much. Commenting on these new revelation, it was noted how convenient it will be for German Chancellor Angela Merkel to be reelected to a fourth term with her government appointees being placed in the position of censoring news content such that all suspect news which counters her positions, particularly on the admission of untold numbers of unvetted “refugees” from an area of the world which does not respect or even know of the rights and the self-control and observance of the laws and customs of the lands which make our freedoms possible. The reality in the United States, the place where these rights were first instituted and where the society had been cultivated with deep religious and moralist education based on the Bible, both the Old Testament and the New Testament, and where the second President of the United States, John Adams, had serious and vital input and understanding of the system of laws and limitations on government and empowering the people were included within those written pages. It was he, John Adams, who stated eloquently but with simplicity that, “Our Constitution was made only for a moral and religious people. It is wholly inadequate to the government of any other.” He was referring directly to a religious people steeped in Judeo-Christian ethos and though not directly ruling out all others, was placing an individual market which was to warn of a time when the people would no longer present the restrained and courteous nature and instead would run roughshod over these rights perverting their very meanings and abusing these very liberties and that at such a time the governance itself would be filled with such people after which freedom would perish and tyranny would be entrenched. History has proven that statement to be far too valid. We can also see from history that losing a war also begets slavery if not worse. But probably the most difficult lesson which mankind has apparently not learned is that delaying facing evil and attempting to coddle and coerce evil to forget its ways in exchange for forgiveness results in the deaths of many thousands if not hundreds of thousands or even tens of millions of lives in a far more difficult war once evil has armed themselves, often clandestinely, and readied for the war those so invested in peace as to not believe anybody would war against them believing in their superiority of arms. Such stupidity brought on World War II and the most horrific fighting the world had ever witnessed. The next time stopping a rising evil will not be anywhere as limited as World War II, it will be fought in trenches by the survivors of the initial exchanges of rockets tipped with weapons of unimaginable destruction being leveled not against military targets but against the civilian and industrial infrastructure targets in order to prevent even the ability to feed the people, let alone defend them. Editing for accuracy and validity and removing “fake news” will result in only one thing, censoring news such that things the government deems too troubling or reflecting too harshly on the governance amongst other reasons for limiting information. That is what these new agencies are about, limiting information. Then the next conflagration will come upon a world completely ill-prepared for facing the truth any longer as the truth will have become too far separated from their lives and the base of their knowledge, that knowledge which was sculpted through omissions and censorings along with massaging the few challenging truths which do finally break through. We need understand that the next step is to place a United Nations Universal Mission for Truth and Verification of Reporting and Validation of Editorial Content (UNUMTVRVEC) or Umteveravec. All newspapers will need to have the Umteveravec seal, kind of like a Classification Marks (Underwriters Laboratories). These approval marks will be granted each year providing the media has met the fairness doctrines which will not be fair, the balanced reporting requirement which will not be balanced, the factual reflection guidelines which will not be fact based, and the represents faith in government requisite which will not be permitted any amount of harshness and only limited truth. News will be neat, clean and leaving no loose ends, doubts or questions by the nature of reporting always becomes when the government approval is required to do business. When evil approaches under such predatory vetting of the news, the people will be as unprepared as was the allied powers when World War I and again when World War II broke out, does anybody think we will be ready when the world is teetering on the brink and government is doing all they can to appear in control and without a care in the world? Of course the people will not be ready as required, though the people will know at the least that they are not being properly informed and that the government is hiding things simply because what they read and what they see every day do not match. 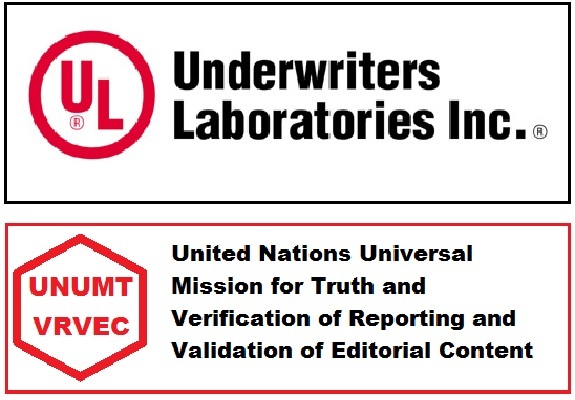 The big difference between Underwriters Laboratories and Umteveravec is that Underwriters Laboratories is a privately owned company which has made a name for themselves for thoroughness and have the people’s trust and know that should they lose the people’s trust or the respect of the manufacturers that they are out of business, so accuracy and care are requirements of their workforce’s jobs. Umteveravec would be a United Nations agency which would owe its budget to the United Nations and its credibility to the individual nations who would then require or exempt their news services from meeting any of the Umteveravec regulations and turning over their news vetting to the United Nations. Umteveravec, as a United Nations Agency would be invested heavily in making the world appear perfect with few problems thus allowing the United Nations to skate through even on thin ice and not fear any danger of falling through. The world itself would become a very dangerous place and in many ways because of these dangerous and perilous times approaching, the powers that be from all parties will be conspiring to paint over any real problems and very probably simply blame all the world’s problems upon the Israelis or whichever nations they felt deserved scorn. Currently another target would be Britain due to their dastardly deed of leaving the EU. Imagine the horror stories about any nation which had the audacity to resign from the United Nations or not pay their rightful dues (in the case of the United States that would include an extra amount to pay for Russia and other nations who claim that the United States is responsible for keeping them paid in full). We will see how these monitoring sites do in preventing “bad” and “evil” reporting from ruining our day while endangering our lives.